For some background, see this post. Venerable fathers, brothers and sisters! 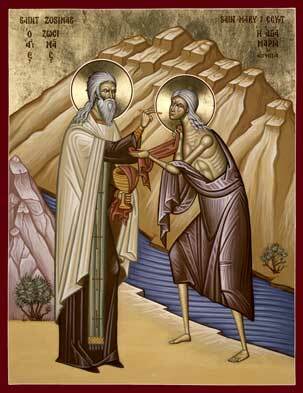 Let me greet you all in these sacred holy days a forty when, along with Saint Andrew Cretan, author of Great repentant canon, and by the example of St. Mary of Egypt, we delve into the deepest repentance: "We have sinned, lived illegally and unfairly before Thee" (Irmos seventh song). Unfortunately, even in these days when we invited the Church to the inner part - to prayer and repentance, we are forced to also pay the outer and practical things and I want you detailed information about all current serious issues. Today Diocesan Council met Olomouc-Brno eparchy that their resolutions showed obedience and respect the sacred synod and at his request, recommended that the functions of administrator of the eparchy prot. Petra Klokočka of Zlin. The sacred synod in the coming days appointed administrator of the eparchy in this function is confirmed. Please following the spiritual and religious Olomouc - Brno eparchy, to be obedient to the appointment of the administrator of the eparchy and assist prot. Petru Klokočka and Director of the Office of the ER prot. Libor Raclavskému to unite and assist with the preparation of the eparchial Assembly, which will be elected eparchial archijerej. Now we can confidently and relieved to say that all our religious authorities are united and unanimous (general church Congress, the sacred synod, both metropolitan council and all four eparchial Council). This unity, we will continue to base our work together, which is a very joyful and promising for the development of our local church and to preserve its integrity and independence. Many of you have already been informed of the opinion that the Ecumenical Patriarchate issued a first April this year. This opinion many people uneasy. It should be emphasized that this communiqué in any case not divulge anything that would undermine Orthodoxy or kanonicitu our local church as such, or what it would mean interrupting the church community by Constantinople, as some people would need to be interpreted and so concerned about our believers. The opinion of the Ecumenical Patriarchate only repeats what has been said previously the Church of Constantinople. Therefore conveys her doubts about canonical during the session of our Sacred Synod and XIII. Assembly of our local church, where we clearly have selected metropolitan. Frankly, we are not hesitant attitude of the Ecumenical Patriarchate completely understandable, and we believe that it is based largely insufficient information about what is happening in our church resp. disinformation, which some people persistently and diligently inundate Constantinople patriarchii. One should also emphasize the fact that in Constantinople at the recent meeting of representatives of local churches was invited not only our newly elected Metropolitan of Rostislav, but neither the former Metropolitan administrator, Bishop Simeon. With Constantinople, of course, we will continue sympathetic and intensely act and patiently explain everything. Based on previous good experiences of fraternal relationships, we firmly believe that openness and understanding each other. It should also be noted that a number of local churches contrary to what is happening in our local church, specifically the election of a new metropolitan sees no canonical problem, and His Beatitude Metropolitan Rastislav fully acknowledged. These are churches that surround us territorially and are close to us, and which co-operate, aim, therefore, well in our situation: the local churches of Russia, Romania and Poland, as well as our respect and Metropolitan Church of Antioch and the Orthodox Church of America. Other local churches have taken the issue to our neutral stance, although in a private plane expressed understanding of our situation and willingness to accept the choice of the Metropolitan Rastislav (eg church Serbia and Bulgaria). All these churches but have their own bilateral relations with the Ecumenical Patriarchate, which is not always simple problems, and therefore it is understandable that the churches do not want to make unilateral steps and waiting for the final opinion of Constantinople. For us valuable relationships with all the local churches, we will continue to patiently explain what is happening with us, which we do. If necessary, we will seek the advice and assistance, however, we can not tolerate undue pressure on our local church, and any failure to respect our sovereignty and autokefality. It is obvious that this situation is in no way the fault of our local church. 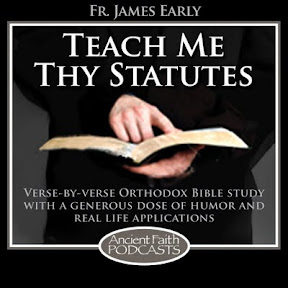 It is given different views on autokefalitu throughout the world Orthodoxy, its nature, ways of granting, different emphases in bushy canon law, for example, by the Greek Church on the one hand, and Church Slavonic on the other. Furthermore, the situation is complicated by the peculiarities of our local Canon Law and also not always full compatibility between the requirements of canon and civil law. This already difficult situation then complicated by people who, for various reasons, are unable or unwilling to respect the decision of the competent ecclesiastical authorities, namely the Assembly of the Sacred Synod and Diocesan or metropolitan councils. 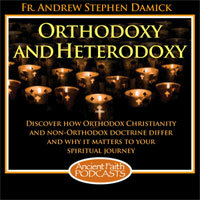 We Orthodox Church, Churches, whose administration is done on the basis of certain principles. One of the basic principles is that no bishop can not dictate their will to the college of bishops, but rather subject to the college of bishops. For this reason he had to, as you already know, the sacred synod 27th March this year essentially express the person and the action of the former Archbishop of Olomouc-Brno Simeon. Lifelong work of Bishop Simeon everyone immensely appreciate and respect this sacred synod declared more than once, a few months waiting for the friendliness and desire to communicate, invited to the meeting. Vain. I am in awe of their Thain Simeon still convinced that he acted in an attempt to damage our church, but was more influenced by the people who surrounded him, and who want to harm our Church. I therefore made me very badly I write these lines, but at this stage there is no alternative than to bring a clear position and respond to this lies and disinformation that spreads among you. Bishop Simeon unfortunately did not accept the decision of the Sacred Synod of the necessary amendment to the Metropolitan administrator, for whom it was previously elected by the Synod itself, and which had a sacred synod, after considering a number of reasons, the full right. Not only that. Bishop Simeon from this day dragged into the life of our local church hitherto unheard of rhetoric, using phrases like "lžisynod", "lžibiskupové", "self-styled synod", "rozkolní bishops' etc. declared himself" single canonical bishop "in our local church, which spread abroad. Subsequently, ignoring local Assembly, the international church forum in which they could discuss a boycott over Bishop Simeon actually woke up, all major international church issues. Bishop Simeon is not only not participate in the Assembly, but later called him "lžisněmem". This "lžisněm" while held in a peaceful and joyful atmosphere that the audience described as a spiritual feast and the victory of the Church over big temptation. Persistent disregard for parliamentary and synodal decision by the Bishop Simeon was presented on the website, founded and from which they disassociated itself Moravian Diocesan Council. All culminating in its attempt to establish without the knowledge of the members of the Sacred Synod on the canonical territory of our Autocephalous Church of parallel church structure is indeed establish a schism created by the two church organizations in one area, which would have enormous consequences. Bishop tried to organize consecration layman G. Kontourise, elected nearly 20 years ago as auxiliary bishop of Prague. Rite be done secretly, outside Prague eparchy, without the knowledge of the other bishops of our local church also had to be G. Kontouris from layman to bishop ordained in three days, including monastic postřihu. This consecration would be grossly violated a number of Canons, specifically the 25th Rule IV. Gen.. Assembly (chirotonie to be granted no later than three months after selecting a bishop) 16 rule of Constantinople council - double (loss of the bishopric for 6 months-long absence from the eparchy - G. Kontouris eparchy left Prague for about 10 years), 10th rule sardického Assembly and 17 rule of Constantinople council - double (repeated strict ban fast chirotonie svěcenců), 4th I. Gen. rule. Assembly (consecrated bishops should be done with the consent and, if possible, in the presence of all the bishops of local Churches), 7th rule Theophilus of Alexandria (consecration may be held in secret, but rather publicly before the people in the temple). Bishop Simeon to them without the knowledge of the local bishops and bishops invited from other Orthodox Churches. The attempt of this non-canonical consecration net Simeon himself before witnesses admitted at a meeting with Metropolitan Rastislav 26th 3rd 2014 in Bratislava, testified about him even more credible witnesses. Bishop Simeon and his followers, not the sacred synod, unfortunately bear the responsibility for the front of our church willy-nilly were two paths that are mutually incompatible. The first way is the way of respecting the decision of the competent ecclesiastical authorities - the Assembly of the Sacred Synod, Metropolitan and Diocesan Councils and obedience to them, even though these decisions do not have to be as individuals personally satisfied. It is a way of consolidation of our church life, rooms, repentance, forgiveness and reconciliation. It's also a way of sincere and best relations with all local Orthodox Churches. The second way is the way of decision disregard religious authorities, violent pursuit of its own interests and desires at the expense evident will of the vast majority of the Church, the path of violence distinct minority on the majority of our local church. It is a journey of uncertain development of the relationship with the state (remember that Bishop Simeon his time repeatedly called for acceptance of financial compensation from the state, which would have fatal effects on the economy of our church and our spiritual security salaries who care about mnohodětné often family). Venerable fathers, brothers and sisters! I trust in God's help and patronage over our local churches. 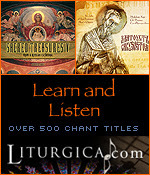 I believe the tutelage of the Most Holy Theotokos, and I am also confident of our spiritual discernment and faithful. We know where the truth which sets us free (John 8.32). We know where the misinformation, manipulation and lie and we know where that is a lie, there is also the father of lies (John 8.44). And above all, we believe that we are members of Christ's Body, the Church, which the gates of hell shall not prevail against it (Mt 16.18). On the eve of the feast of the Annunciation of the Most Holy Theotokos, with whom he cordially greet, saying akathistu exclaim, "implores, Panno, of you incarnate Christ our God to us girded his power from on high against the invisible visible even our enemies." The blessing of the LORD to you by grace and human kindness, always, now and in future, for ever and ever. Amen. I've been watching this issue unfold for a while now, so it's not surprising that it's come the to fore. I'm impressed by the honest & direct, yet humble & loving language of this document (excepting the obvious translation problems); it reveals the truly spiritual ethos of the Church of the Czech Lands & Slovakia. Not to mention that it is measured & well reasoned. Hopefully Constantinople will respond in turn. The hand of Moscow is evident in the false election of Abp Joachim. It is a clear attempt by Patriarch Kirill and M. Hilarion Alfeyev to undermine a canonical Orthodox Church. An ecclesiastical usurpation, just like Crimea. I hope that the Czech Lands and Slovakia rapps the Phanar's knuckles so hard that it breaks them and makes them bleed. Undermine? Moscow was the one who elevated Czechoslovakia to autophaly, over the Phanar's objections. I found the mention of support from the local church in Poland interesting. I have discussed Orthodoxy in Poland with a number of Polish Orthodox (grant it, all of them laypersons) and each one of them has expressed dismay (at the very least) regarding the MP's dominance and short leash on Polish Orthodox affairs. A couple of them have mentioned that their clerical ranks are unfortunately full of russophiles (apparently it is somewhat difficult to get ordained and certainly difficult to make rank without expressing such sentiments), and noted that this may be holding Orthodox growth in Poland back, considering the feelings most Polish people have with regard to Russia. This makes me wonder if there is not a similar situation in the Czech Lands and Slovakia - a russophile tending clergy, a not so russophile tending laity, and folk and liturgical traditions which have been increasingly brought in line with the MP. Yes. The struggle between Russohiles and others there is as old as the resurgence of Czechoslovak Orthodoxy in the mid twentieth century which was harmed for generations by the complicity of some Orthodox with the Russian Church and the communists when the Greek Catholic church was suppressed in the late 1940's. Most Orthodox are either Rusyn or Slovak-Rusyn while the church hierarchy was dominated by Czechs for decades. Unlike Isa's simplistic and reflexive anti Constantinople statements . (It's lent for God's sake) the situation is nuanced and complicated. I suspect that it will be resolved, I recall the late Metropolitan Nicholas of the ACROD was instrumental in making peace there the last time this flared up.in the 1990s. So what exactly are the proofs Symeon is pro EP and the rest is pro MP? And yes, ACROD's silence speaks much. It's one bishop over 80 vs 3 bishops around 40. "It's one bishop over 80 vs 3 bishops around 40." What references. There is a generation gap between Symeon and Joachim, George and Rostislav. Or several generation gaps. I thought you meant one bishop over 80 bishops vs 3 bishops over 40 bishops. Hence my confusion.